It's no secret that I like great animation specially when it's got a little comedic kick to it. SpyFox is kind of like that but with a little too much fish and cat puns for my taste. 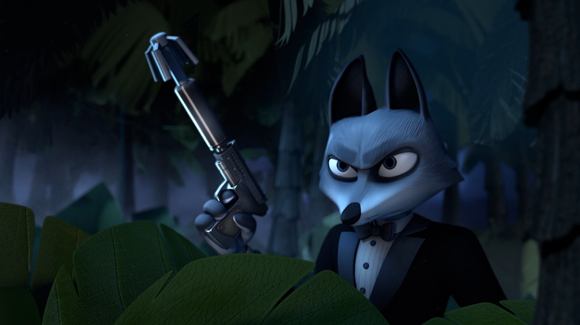 It's kind of got a shallow plot with a secret agent fox foiling the plan of some evil shark to rule the world one way or the other. But overall it's a great way to waste 4 minutes of your life rather than watching all those cat videos on youtube. Plus those miniature sardine minions really look adorable. Now if only I had a group of animators to boss around I'd probably demand that they make a laser shark eat a T-Rex or something epic like that.